The global material alliance, initiated by the leading 3D printer manufacturer Ultimaker, results in fully optimized industrial material profiles for professional FFF 3D printing. Both DSM, a global science-based company in Nutrition, Health and Sustainable Living, and Owens Corning, global developer and producer of insulation, roofing, and fiberglass composites, introduce their optimized materials for the Ultimaker S5. Ultimaker also introduced a new print core CC Red 0.6 at the TCT Show in Birmingham that allows reliable 3D printing on the Ultimaker S5 with composite materials. 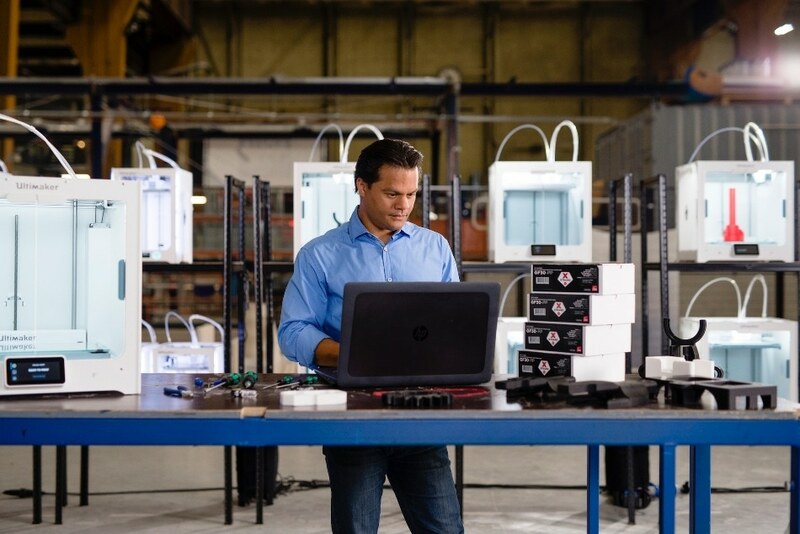 In response to customer demand, leading material manufacturers have joined Ultimaker’s material alliance program to bring a wider variety of FFF 3D printing materials to the market for professionals, more rapidly. To enable hassle-free printing of composite materials, Ultimaker also introduce the new print core CC Red 0.6. The print core features a 0.6 mm diameter nozzle with a specially customized geometry and a wear-resistant ruby cone to ensure reliable 3D printing with composite materials.